Cyan Worlds the creators of Myst and Myst Online:Uru Live and the more recent Obuction are starting a new Kickstarter for a game named Firmament. Details here. I expect this to be another VR game as Obduction is. So, playable on a PC with an NVIDIA 10xx series or better and VR optional. Posted in Games - Other, Myst-Uru, Obduction, Other Virtual Worlds, Riven Myst Uru. Tagged Cyan Worlds, Myst-Uru. As best I can tell people use either Second Life or IMVU. It may just be the circles I run in but, I never hear people saying they play in both. I suspect a few do. So, the Reddit threat on Second Life or IMVU? Caught my attention. For a rational discussion it would seem people would need to have experienced both. There aren’t many people in the conversation so far. Those engaging so far have been in both. Yay! The word for new people trying SL is to stay out of the Safe Hubs. I agree. If you have seen the video Hamlet pointed to in Reddit’s Griefer-Free /SecondLife Community you’ll probably agree it represents the mentality found in the Safe Hubs. Sadly pathetic. The discussion about the video is getting pretty long. Hamlet labels it ‘special’. I suppose if one takes the video and discussion at face value it is pretty special. Otherwise it is a mash up of various people on about whatever is their thing. Posted in Other Virtual Worlds, Second Life. Tagged IMVU. Second Life to Kill OpenSim? Hypergrid Business has an article about what Linden Lab’s® move to the cloud may mean for OpenSim grids. By knowing what may happen to OpenSim we can infer what is likely to happen to Second Life. David Kariuki thinks moving to the cloud will allow Linden Lab to run on demand regions. Meaning if no one is in the region, the region would spin down and drop out of the servers, go offline. When someone is on the grid next door or TP’s there, the region loads into a server and spins up. The result is fewer servers would be needed, a huge cost saving in hardware and electricity. Posted in OpenSIM, Other Virtual Worlds, SANSAR, Second Life, SL Speculation. Massively has an article giving the details. See: EVE ONLINE IS OFFICIALLY FREE-TO-PLAY TODAY WITH ASCENSION. Posted in Other Virtual Worlds. Tagged Eve Online. Ciaran Laval has an article about High-Fidelity being available on Steam. See: High Fidelity Now Available On Steam Early Access. Be sure to read all of Ciaran’s article before running off to download Steam’s High Fidelity. Posted in High Fidelity, Other Virtual Worlds. I think this is funny. There are people that are friends with various members of the development community, Linden and third party. It isn’t so much that developers help out their friends more than others as it is familiarity with a person allows you tell when they are up to something or holding something back. That is a sign to start digging. Posted in General Computer Stuff, OpenSIM, OpenSim Type Grids, Other Virtual Worlds. Tagged Bright Canopy. Massively Overpowered (MO) posted: These Are The Companies That Are Trying To Build The Metaverse. While Linden Lab (214+ employees) is mentioned so is their competition; Altspace VR (20± employees), Facebook, and High Fidelity (). It seems Comcast and the Japanese company Tencent are investing in Altspace. Posted in High Fidelity, Other Virtual Worlds, SANSAR. Tagged Oculus, SL 2.0. 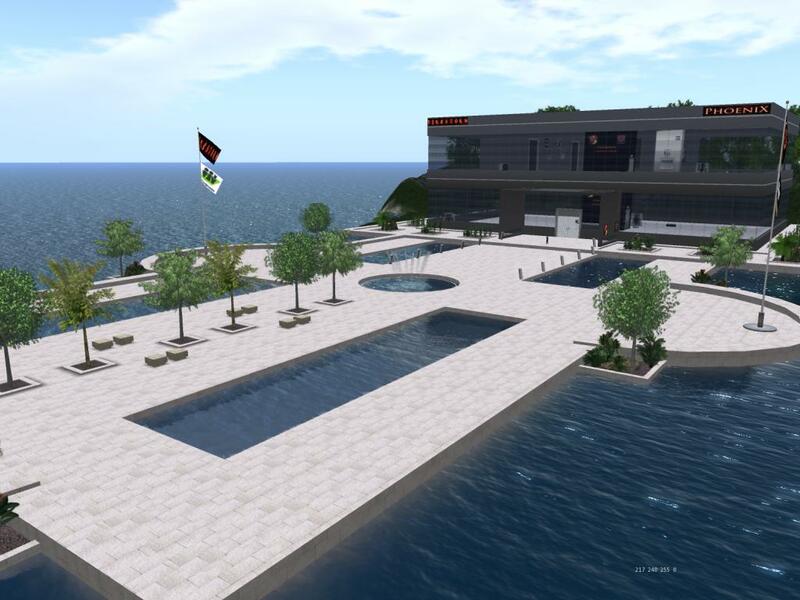 Over on Hypergrid Business Maria Korolov is reporting: OSgrid is back. February 24, 2015 @ 6:45 PM the OSGrid folks tweeted the re-opening of the grid. Plus the blog has an announcement: OSGrid Online. Yay! While this doesn’t mean OSGrid is completely up or stable, it is open to logins. They warn that there may be outages as servers are tweaked. But, they feel the grid should mostly be up and open and no more major problems. For those that run their own regions, new server software is available for download. Also, there are some instructions in the OSGrid blog for getting existing regions back up. See the announcement link above. As you might imagine, there is likely to be a rush of people logging in. This may place heavy load on the system and slow things down. Posted in OpenSIM, OpenSim Type Grids, Other Virtual Worlds. Tagged OSGrid.